As the winter approached, La Gioconda has escaped again from her accommodations in The Louvre and has gone to some hidden island in the South Pacific where she won't be disturbed by the paparazzi. This is my contribution to Take a Word which theme this week is ALTERING MONA. 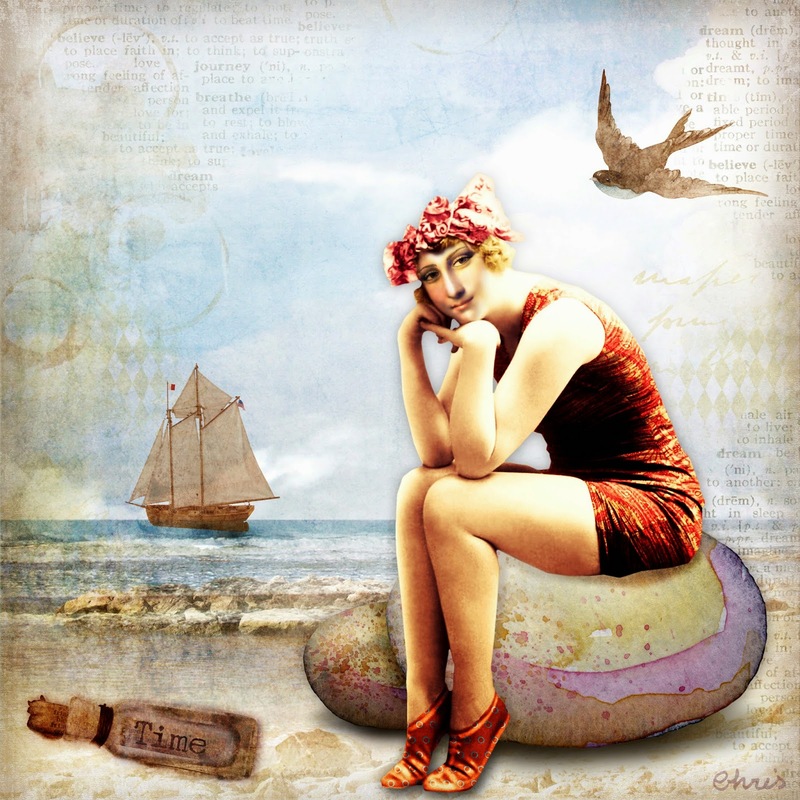 Background and Mona's body by Beth Rimmer; other elements by Createwing Designs; textures by Kim Klassen and Fabricate Stock. Mona looks like she is going to have a fabulous day at the beach! Fabulous take on the theme, Christine! Lovely Mona and her background. Love the calm feeling of the collage. WOW, that is fabulous, Christine, love her new look!! What a wonderful idea to take Mona to the beach, love it. Wow! Chris, there are not enough superlatives to describe this version of Mona! It's frameworthy, just as the original Mona was. It's superb. It's magnificent. This is awesome I adore your superb Mona redo...great job! Mona knows how to have a good time. Wonderful! Wish I was there! Oh wow, nothing less that stunning, Chris. You should frame this one me thinks.